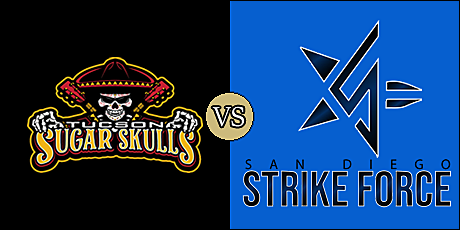 What: It's a battle of the IFL's expansion teams as the Sugar Skulls visit the Strike Force. When: Sunday, March 3 at 5:05 p.m. pacific (7:05 p.m. central). 2019 Head to Head: March 31 - Strike Force at Sugar Skulls. May 4 - Strike Force at Sugar Skulls. May 9 - Sugar Skulls at Strike Force. Note: These two teams are the first expansion teams in the IFL since 2017. The Sugar Skulls are making their IFL debut under the tutelidge of head coach Burt Grossman, a former player for the NFL's San Diego Chargers. The Strike Force are 0-1 overall and 0-0 at home. They are coming off a 67-49 road loss to the Quad City Steamwheelers on February 22. Sugar Skulls DL Keith Jones, Jr. Being that both are expansion teams, this is obviously the first match up between them Both head coaches are former NFL players. Former, New York Jets, Houston Texans and Cowboys defensive back Marcus Coleman, who was defensive coordinator for last season's IFL champion Iowa Barnstormers, takes the helm of the Sugar Skulls. Coleman's defense allowed the fewest yards per game in the league last season. On the other side of the field, former San Diego Chargers defensive lineman Burt Grossman will attempt to guide his team in the home opener. Aside from a bit of a lapse in the middle quarters in last week's opener, the Strike Force were competitive. Of the four IFL games last week, their 49 points scored were the most of those coming in on the losing side. This game has the potential to set up a natural rivalry due to the fact the teams come in as expansion teams the same year, as well as the relatively close geographical distance between them This is the first of four meetings between the teams this season. The franchise opener is finally at hand for the Sugar Skulls after having a bye week during opening weekend. Former Green Bay Blizzard quarterback Bryan Hicks was on the roster, and the team signed Jake Medlock earlier this week. Hicks started the latter half of the season for the Blizzard last season and ended up leading the team in passing yards with 1,234 and passing touchdowns with 22. Medlock, who started all 14 games last year as a rookie with the Cedar Rapids Titans, led the IFL in passing with 2,616 and passing touchdowns with 47. Shadrach Thornton, who had two 100-yard rushing games in 2018, also rushed for seven touchdowns. Which ever quarterback gets the nod will work with a young, but talented group of receivers. Where Tucson may be most potent though, is in the pass rush. 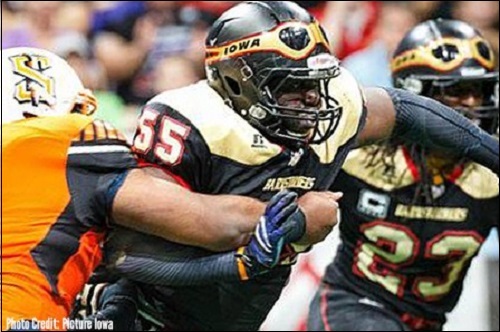 Coleman brought over linebacker Zachary Allen and defensive lineman Keith Jones, Jr. from the Barnstormers Both were First-Team All-IFL in 2018. 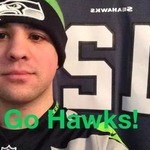 He also added linebacker Robert Metz, a Second Team All-IFL last season with the Blizzard. Two kickers were on the training camp roster; Diego Marquez out of the University of Miami and James Naehu out of Bethel College. 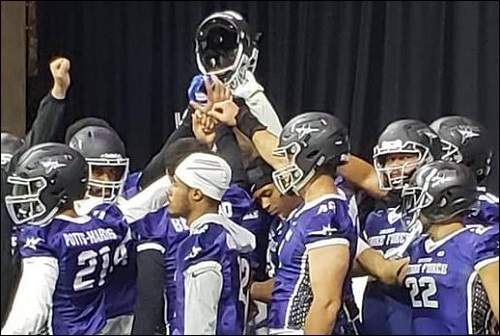 It was a largely disappointing outing in the first-ever game for the Strike Force as they fell to the Quad City Steamwheelers in the IFL season opener. One of the bright spots for San Diego was quarterback Derrick Bernard. The veteran came out of opening weekend as the IFL leader in passing yards with 245 yards and passing touchdowns with six. Bernard also rushed for a touchdown in the 18-point loss. While the Strike Force lead the IFL in passing yards, they rank last in rushing yards with just two on five carries. They should look to develop a ground game to be competitive in this one. Marques Rodgers' 123 receiving yards was the second highest in the IFL opening weekend. He also caught a pair of touchdown passes. Julian Stafford was an excellent compliment, grabbing four balls for 66 yards with two touchdowns of his own. Rashad Ridley and George Moreira, Jr. also found their ways into the end zone through the passing game. Defensive backs Timothy Moten and Kenric Young, Jr. will look to patrol the backfield, while linebacker Mikell Mair and defensive linemen will lead the pass rush. Ernesto Lacayo hit converted all seven of his point after tries last week. NOTE: The Players mentioned in this initial analysis for the Sugar Skulls are based on the team's training camp roster and may not be on the game day roster for this match up. According to the Sugar Skulls, they will be in the all-white jerseys for their opener on Sunday. I don't know specifically what the delay is from San Diego. It's only 10 past game time, so since it's their first ever home opener, there may be some extended pre-game events. FG Strike Force. Ernesto Lacayo. Technical problems. Arena does not have Wifi. Sugar Skulls streaming the game on a phone via Facebook. We're going to stick with this until we can get some more information about the game; scoring plays and stats and so forth. Touchdown Tucson. Shaq Curenton pass from Matt Behrendt. The video is up on YouTube, though the stats are not. Aside, what crappy turf in San Diego.